Murderous thugs. A possessed cheerleader. Good thing this nerd has superpowers. 100+ five-star reviews. Start the superheroic series today! Ted Finley was your typical, wise-cracking teenager, until an otherworldly force gave him abilities beyond his wildest dreams. After an unintended public display of his powers, he's become an instant celebrity and the target of a gang of undead thugs. Sixteen-year-old Erica LaPlante was six-feet-under when a blast of blue light brought her body back to life. Armed with the consciousness of a fierce warrior, Erica must keep her teenage urges at bay to protect the newfound hero. When sparks fly between Ted and Erica, Erica wants nothing more than to hide who she really is and the dangerous mission they must face. 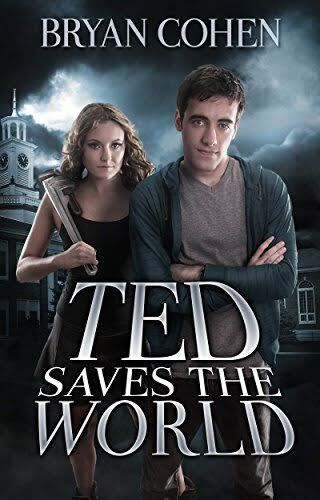 But when their school comes under attack, Ted and Erica must use everything at their disposal to save their friends, the town and... well, the world.